Experience the Old Fort Niagara French & Indian War Encampment on July 5-7, 2019 at Old Fort Niagara in Youngstown, New York as hundreds of reenactors recreate the historic siege of 1759. 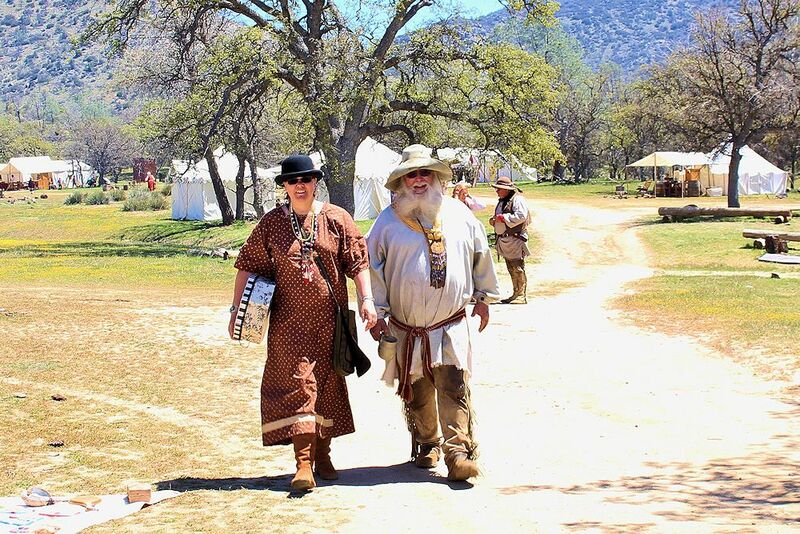 As a visitor, reenactor, Large scale French & Indian War battle re-enactments, musket and artillery firings, music, food, military pageantry, 18th century artisans and merchants, Native American councils and hands-on activities for families. This is our largest event of the year. Three days of living history at Old Fort Niagara put you in the middle of one of the most important and exciting events ever to occur in the Niagara region. Three days of French and Indian War reenactment demonstrations accurately recreate the siege in the order that it happened in 1759. Experience the siege of 1759 during three days of French and Indian War battle demonstrations and living history camps. Hundreds of French, British and Native re-enactors gather at Old Fort Niagara to realistically depict the events of July 1759, when British and provincial forces alongside their Native allies, laid siege to Fort Niagara for 19 days. The event also features a large camp of 18th century merchants and artisans. 10:30 a.m. Special Tour- Get acquainted with the strategies and tactics of an 18th century siege. 11:00 a.m. Engineer’s Recon. – The British Army has landed four miles east of Fort Niagara. British military engineers advance to reconnoiter the Fort and plan their attack. They are spotted by French defenders and fired upon. Noon- Battle of the Bateau- British troops attempt to reconnoiter the Fort from the water. French infantry and artillery drive them off. 1:00 p.m. Rutherford’s Embassy- Join British Captain Walter Rutherford as he enters the Fort to demand the French surrender. Eavesdrop on his conversation with Captain Pierre Pouchot. Will the defenders surrender without a fight? 2:00 p.m. British Assault on the Fort- British forces launch an all-out infantry assault on the Fort. Find out why the elaborate tactics employed during a siege made good sense. 2:30 p.m. Special Tour- Learn about what Fort Niagara looked like in 1759. 3:00 p.m. Fur Trading Demonstration- Natives and French traders barter furs for European made goods. Learn about the dynamics of the Great Lakes’ first major business enterprise. 4:00 p.m. Children’s Games- Play period games that are low tech but great fun. 10:00 a.m. Special Tour- Find out how the British got to Fort Niagara in 1759. 10:30 a.m. Siege Demonstration- Advance the guns! The British move up their artillery under French fire. 11:00 a.m. Native Allies- Join Britain’s Native allies as they meet with Sir William Johnson and receive gifts in exchange for their support. 11:30 a.m. Special Tour- Enter the French defenses and learn how the French plan to defend the Fort and its garrison. Noon- Rampart Firing Demonstration- Join French soldiers as they fire upon British attackers. 12:30 p.m. Dauphin Battery Artillery Firing- Feel the ground shake as French gunners fire the five cannons in the Dauphin Battery. 2:00 p.m. French Sortie- What starts as a reconnaissance mission turns into an attack that overruns the British positions. See how the redcoats react. 2:30 p.m. Special Tour- Learn what the Fort looked like in 1759. 3:30 p.m. Rampart Firing Demonstration- Join French soldiers as they fire upon British attackers. 4:00 p.m. Kids Drill- All ages are invited to join the army and learn the manual exercise (drill) of the 1750s. 11:00 a.m. The Battle of La Belle Famille- French relief forces try to break through to the Fort but are defeated in a quick but decisive battle. 1:00 p.m. Siege Demonstration- Learn how the engineers and sappers have advanced the British guns to point blank range. The Fort’s north bastion is decimated and the defenders’ situation grows desperate. 2:00 p.m. British Assault on the Fort- the British launch a final assault on the Fort forcing the French to request surrender terms. 3:00 p.m. Surrender Ceremony- Captain Pouchot musters his weary defenders on the parade ground as British troops assume control of the Fort and Native allies help themselves to French trade goods. The Officers’ Club, which opened in 1938 and served the 28th Infantry Regiment that fought in World War I, will be open daily from 11am to 4pm. Old Fort Niagara Welcomes Reenactors to the French and Indian War Encampment to re-live the Historic Siege of 1759. Saturday and Sunday Night Taverns for REENACTORS ONLY with live period music. Mark your calendar today so you don’t miss the next Old Fort Niagara French & Indian War Encampment in Youngstown, New York.